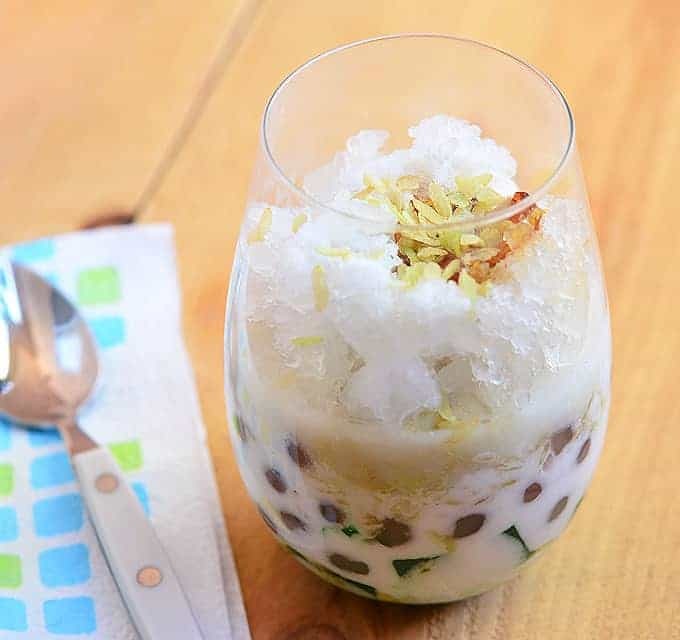 Ginumis is a shaved ice dessert much like the more popular halo-halo. It is, however, set apart in flavor by its use of coconut cream and a sweet syrup made from panutsa. 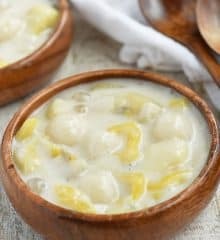 Sago, gulaman and pinipig are standard ingredients but you can certainly add, if desired, fresh mangoes or fruit of choice. Enjoy! In glasses, place sago, gulaman and pinipig. Add panocha syrup and coconut cream. 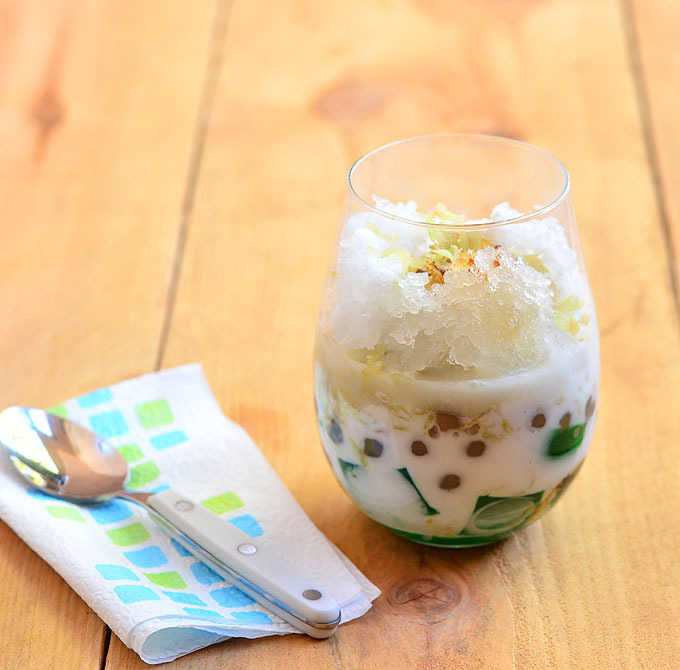 Top with crushed ice. Garnish with additional pinipig, if desired. In a pot, soak agar agar in water for about 30 to 40 minutes. Bring to a boil over medium heat and cook, stirring regularly, until agar agar melts. Add sugar and stir to dissolve. Continue to cook for about 10 to 15 minutes or until agar agar is completely melted. Add pandan extract and stir to combine. Remove from heat. Pour into a flat dish and allow to cool until agar agar is set and hardened. Cut into ½-inch cubes. In a saucepan, combine panutsa and water and cook, stirring occasionally, until completely dissolved. In a fine mesh sieve, strain syrup to rid of any impurities and return back in the saucepan. Continue to cook until thick. Also, the pinipig looks very unique, I can’t believe I’ve never heard of it. I’ll keep my eyes peeled next time I’m in the Asian grocery store.